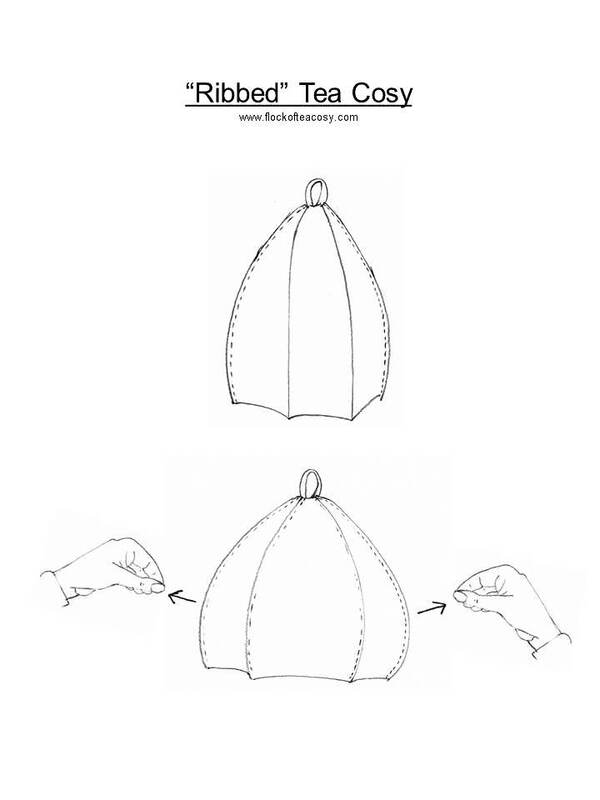 WILL THIS TEA COSY FIT YOUR TEAPOT? Ideally, if you pinch the cosy at the teapot’s spout and handle there should be at least 1/2″ (1.5cm) of wiggle room on each side. If the spout sits tight against the fabric it will wick up any liquid and stain the cosy. 4. A maximum circumference of 25″ (63cm). 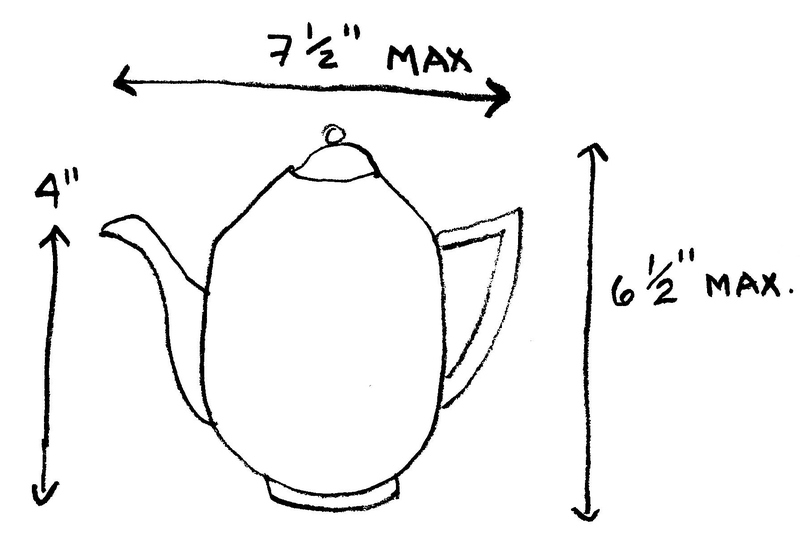 A teapot that is slimmer and taller (up to 8 1/4″) can also be accommodated — please refer to the dimensions in the drawing. 4. 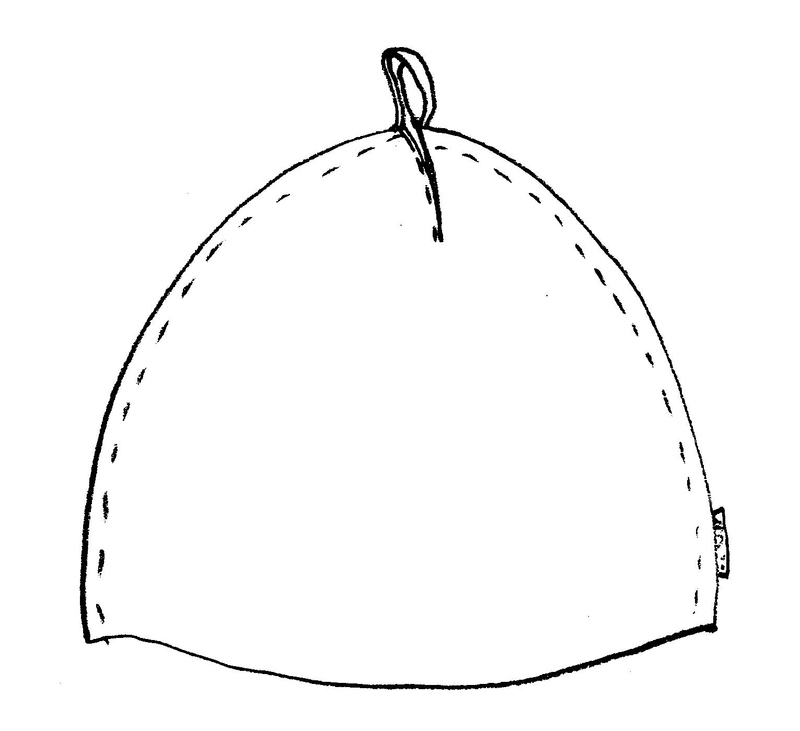 A maximum circumference of 19 1/2″ (49cm). 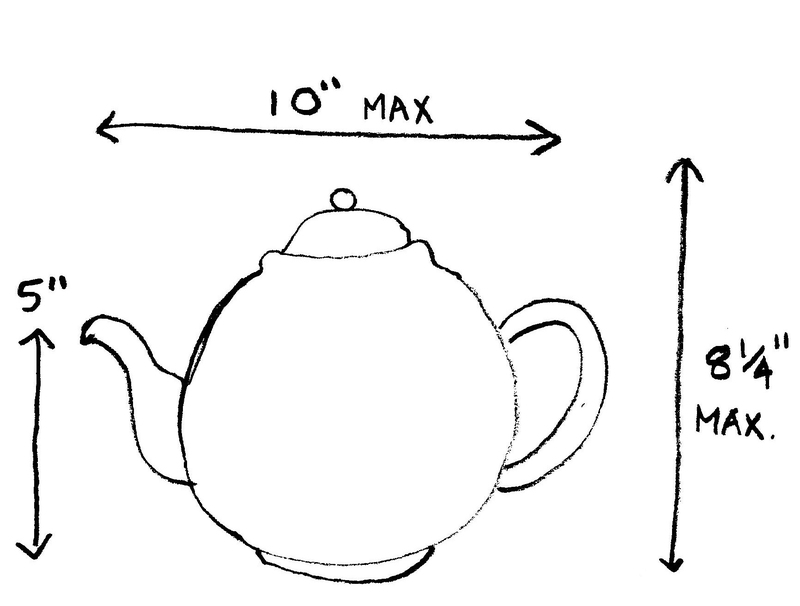 A teapot that is slimmer and taller (up to 6 1/2″) can also be accommodated — please refer to the dimensions in the drawing. 3. 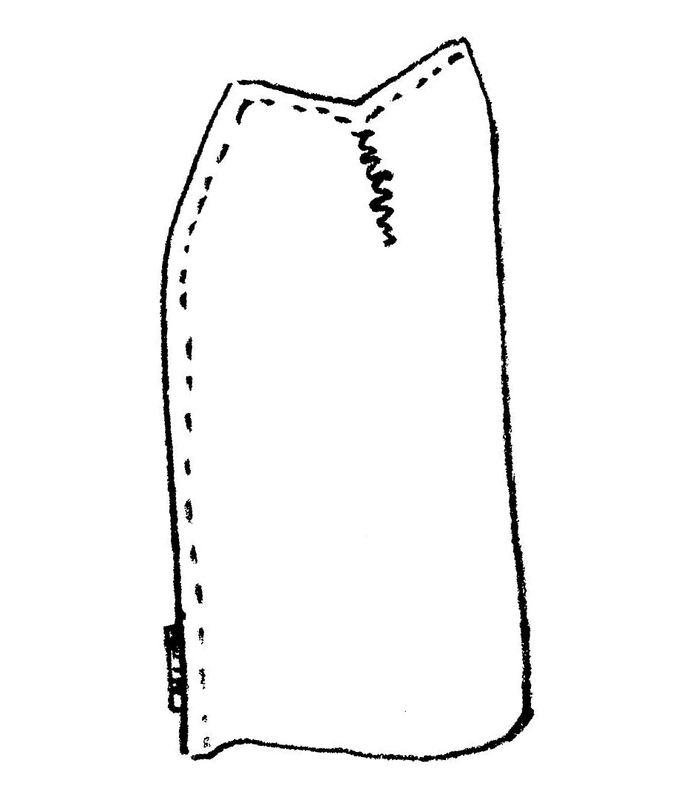 A maximum circumference of 12 1/4″ (31cm). Please see this post for details on how much the Standard size enlarges. 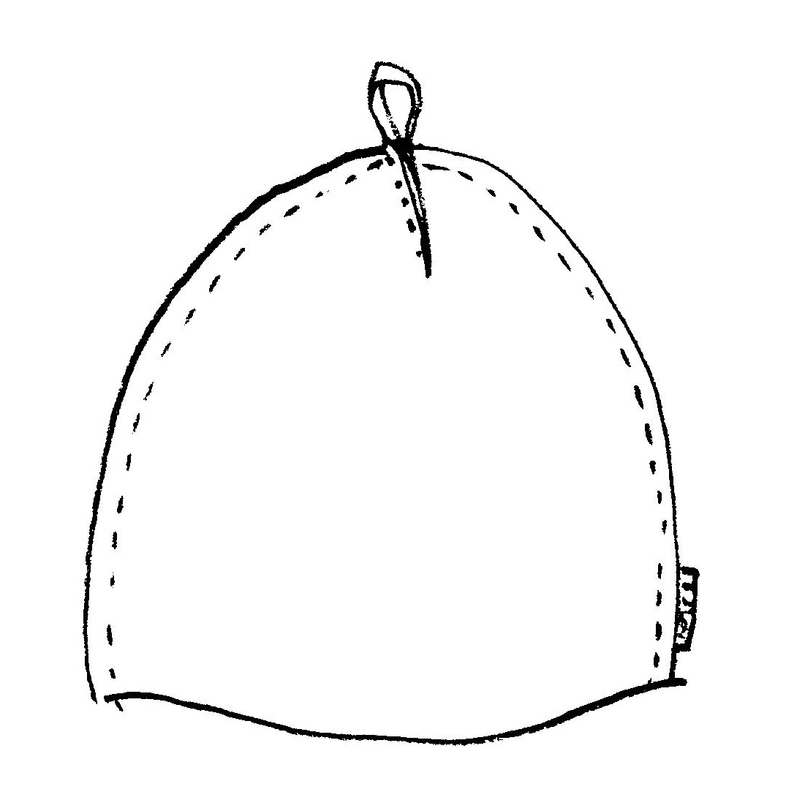 HOW IT WORKS: If your teapot is a little larger — or you just like the look — you can also tug gently on opposite sides and the stiff felt will pop out and further expand like a turban-shaped tent to enclose the teapot. The standard size, six-paneled Ribbed style was designed to fit the average 4-cup teapot but its puffer-fish nature means it can accommodate a quite large teapot — like a 6-cup. When expanded its circumference is about 37″ around. 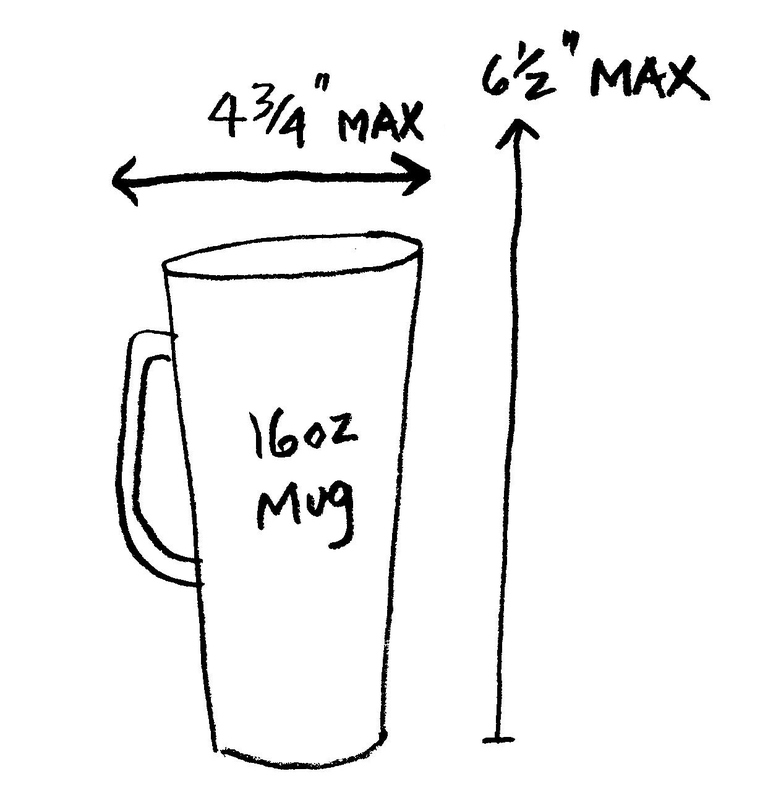 Allowing an inch of pinch this would accommodate a teapot (including spout and handle) up to about 35″ around. Check the blog entry.